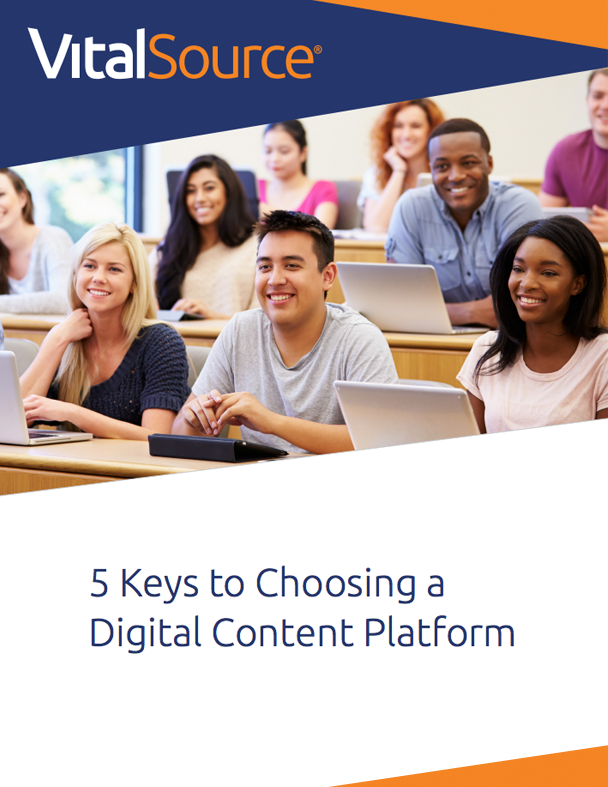 VitalSource offers insightful case studies, white papers, thought leadership, infographics, and other deep-level pieces on trends in digital content for leaders in domestic and international higher education and professional learning. 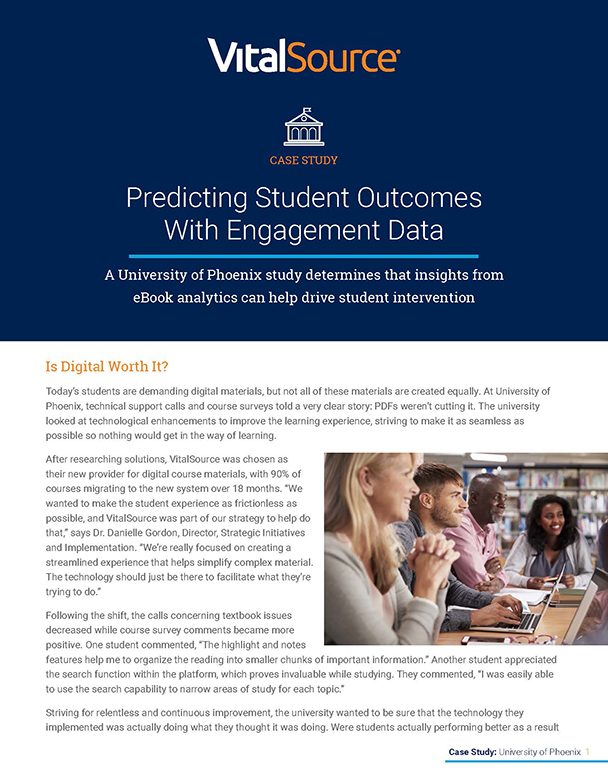 Following a shift from PDF materials to VitalSource eTextbooks, University of Phoenix set out to discover whether or not the VitalSource platform was improving course outcomes for their students. Read the full case study to learn more about their findings. 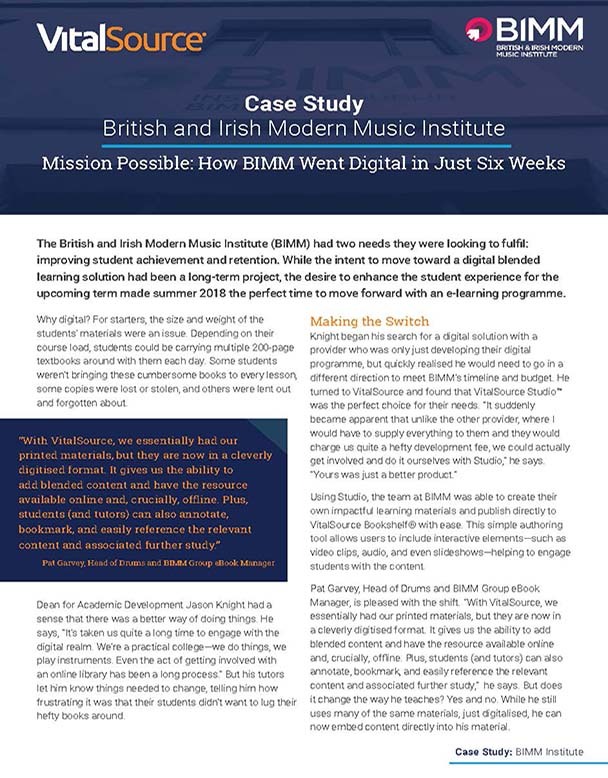 The British and Irish Modern Music Institute went digital in just six weeks to enhance the student experience. Using VitalSource Studio™, BIMM were able to author and create their own learning materials and publish directly to Bookshelf®. 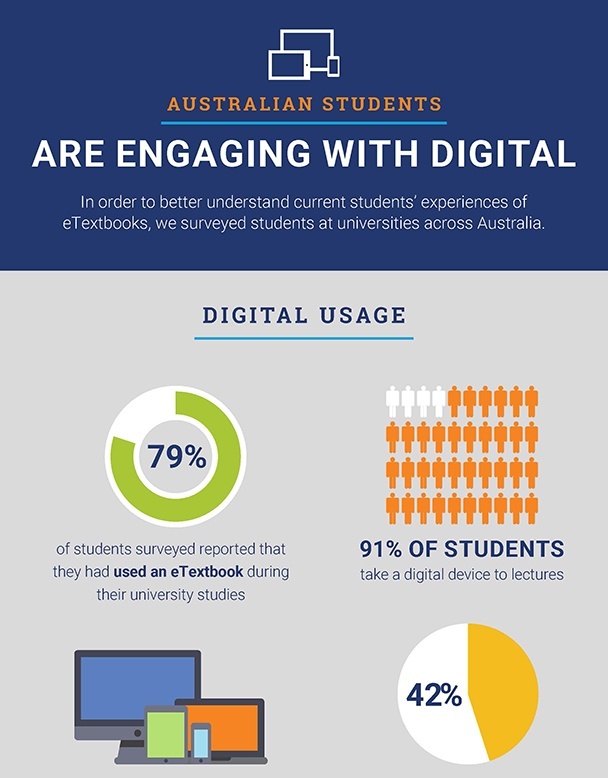 Research conducted by Shift Learning on behalf of VitalSource explores Australian students’ experiences using eTextbooks at university. Download the final report to learn the outcomes. Over the last four years, University College of Estate Management has doubled its student numbers and transformed into a pioneer of digital learning. Staff and students reflect on the journey, sharing the key challenges, critical success factors and benefits. VitalSource have worked with BPP since 2014 to ensure content is accessible to all learners, and that students are provided with the tools and materials needed to succeed. 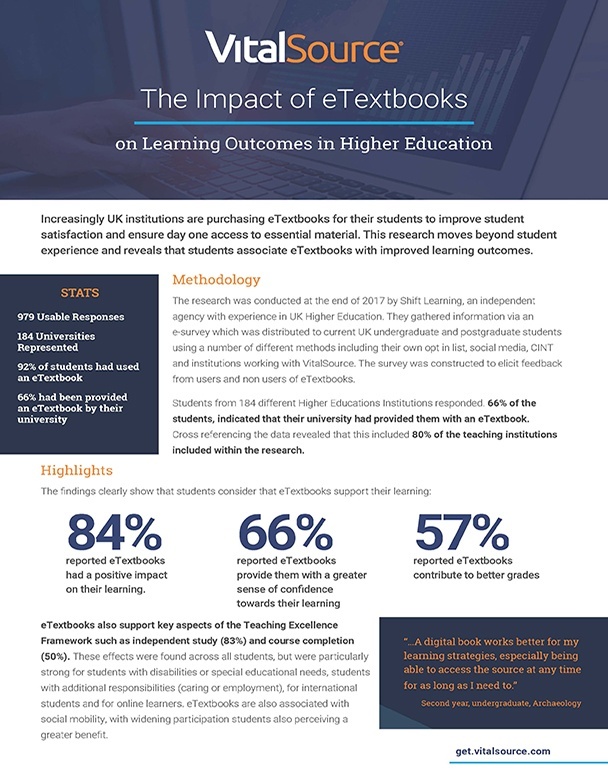 Students facing financial challenges, those with disabilities, and mature students receive a greater benefit from eTextbooks, thus improving their overall learning experience. Read the report to learn how these materials can help reduce their specific challenges. 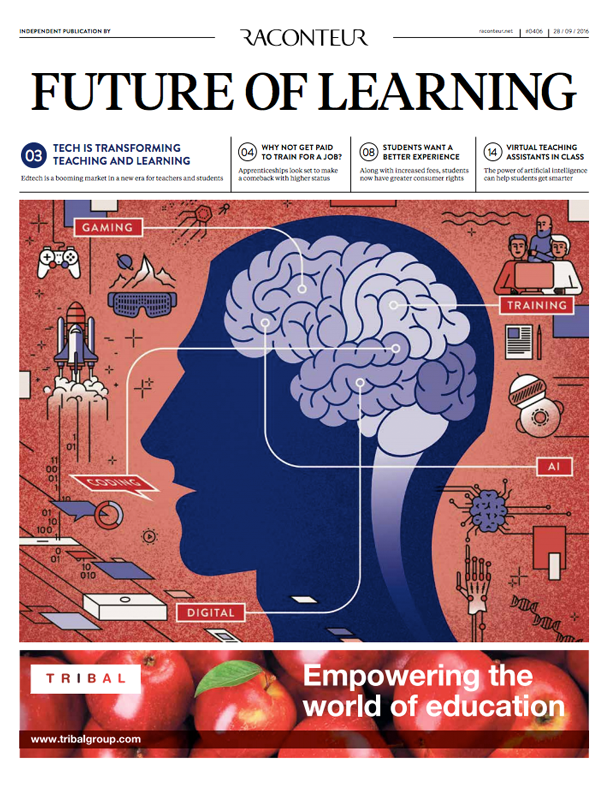 VitalSource continues to invest in understanding and evaluating the impacts of digital learning. 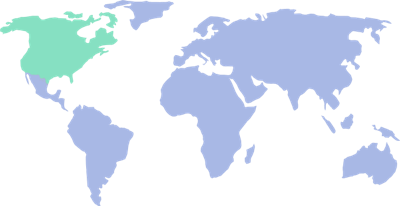 Read the report to learn more about our research into UK and international students' experiences with eTextbooks. Watch how technology is changing the student experience, discover tips to help you transition, and hear how UCEM successfully made the shift. Not only can learning analytics help predict how students may perform in a course based on early activity, this technology can also alert professors if any students are at risk. Read the white paper to learn more. 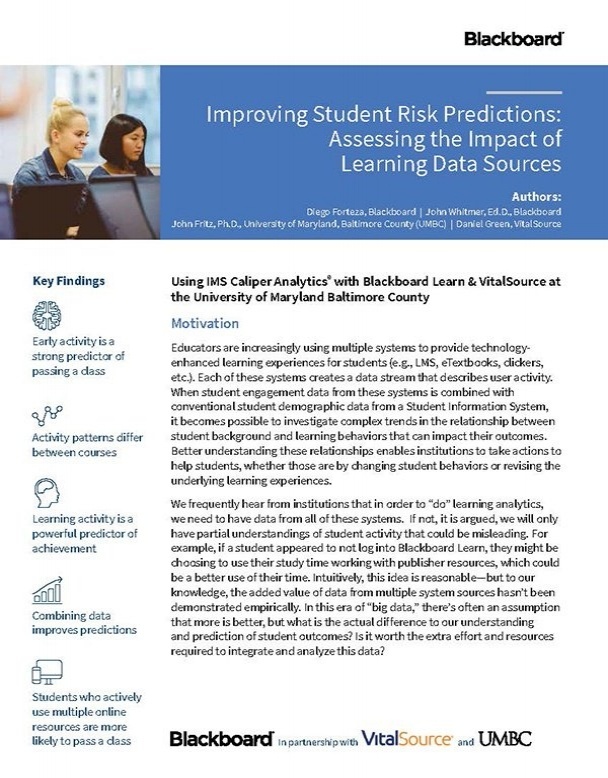 Recent research by Shift Learning on behalf of VitalSource reveals students perceive significant impact on their learning outcomes when using eTextbooks. 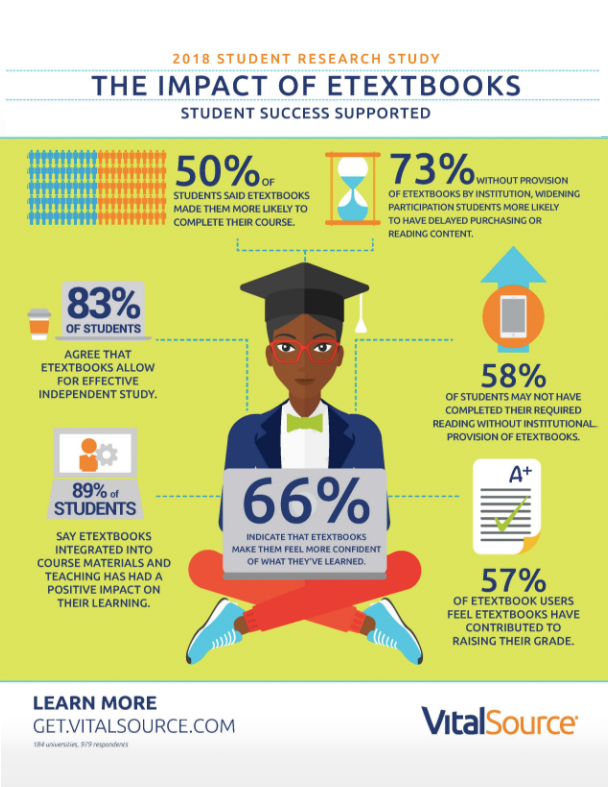 A new study conducted by Shift Learning on behalf of VitalSource examines how students feel about the impact of eTextbooks on their grades, confidence and learning outcomes. Explore the findings in an infographic and official report. 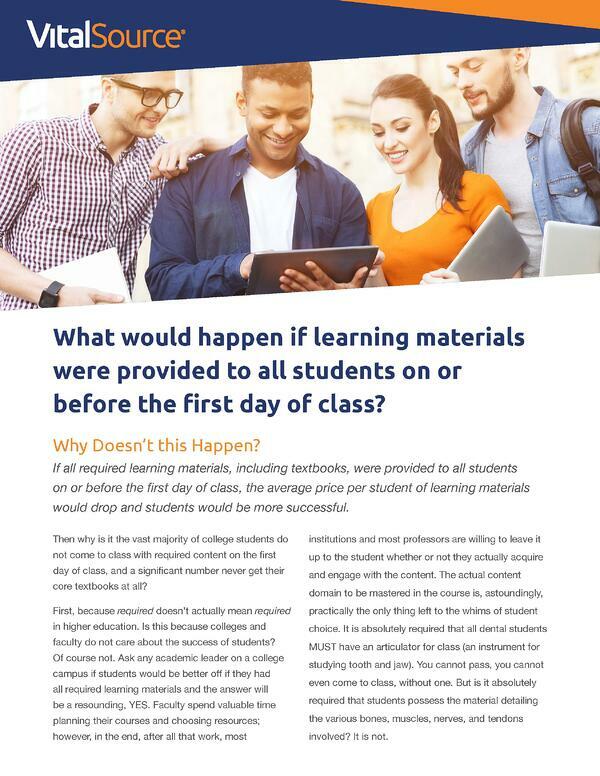 Read how the provision of affordable, interactive learning materials by institutions to students through VitalSource can impact the student experience, success and outcomes. 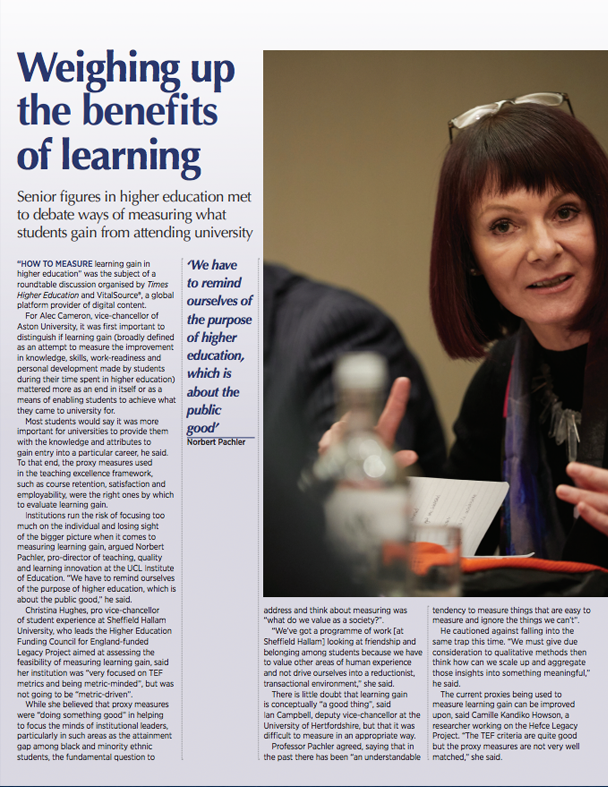 A report from senior leaders across higher education discussing a range of projects, approaches, and metrics when drawing up a formula for ‘success’ in measuring learning gain. 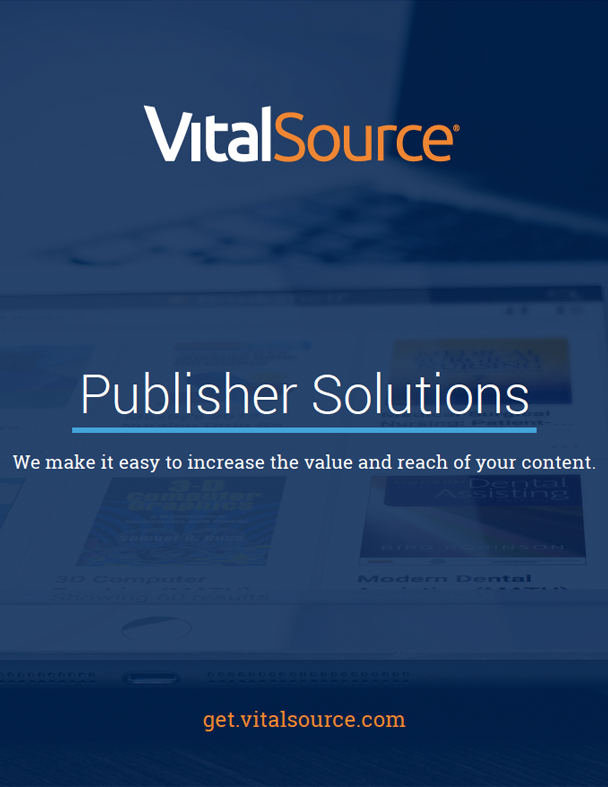 Increase the value and reach of your content through data analytics on content usage, seamless system integrations, or a tool to create enriched and accessible EPUB content with VitalSource solutions. 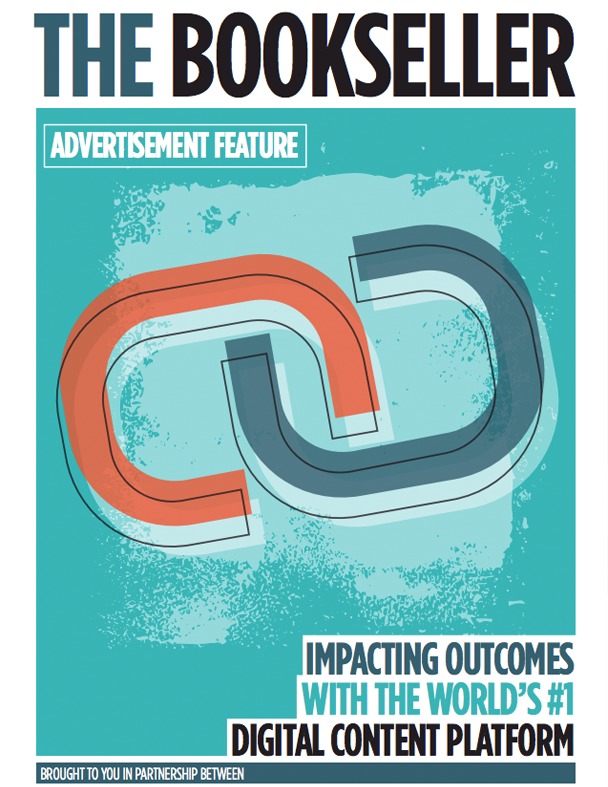 A guide on how to select the right eTextbook delivery provider to meet student needs and improve outcomes. One course at North Carolina State University pilots Inclusive Access. Students experience improved learning and big savings. 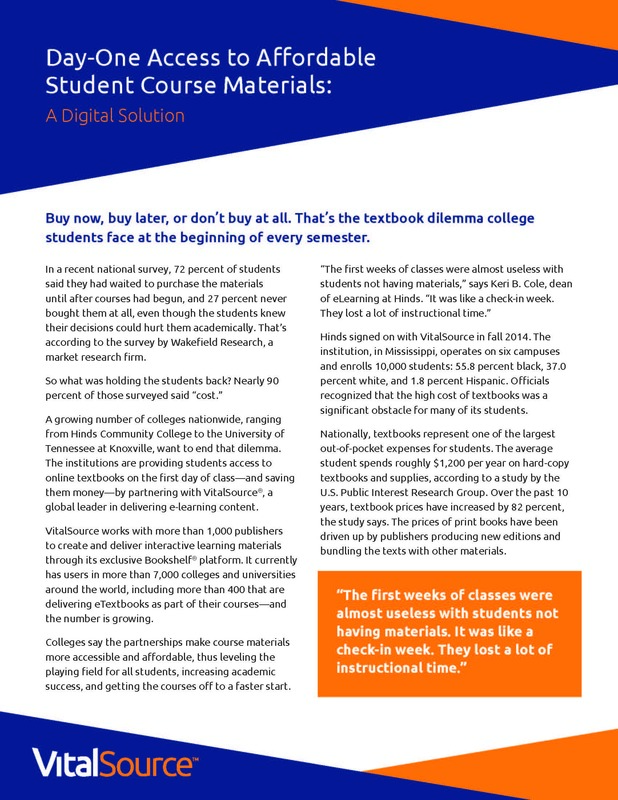 VitalSource works with Texas A&M University-San Antonio (TAMU-SA) to deliver affordable digital content directly to students through their LMS. 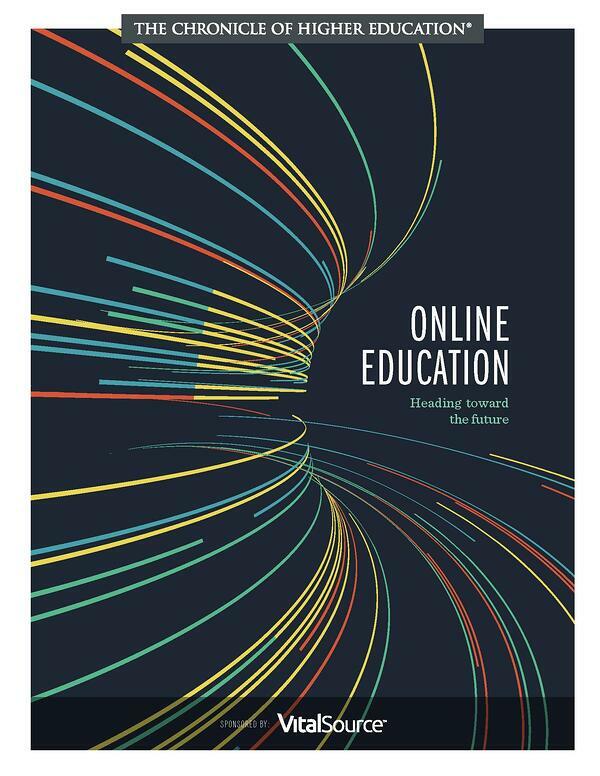 The Chronicle of Higher Education surveys 1,287 administrators to learn about the projected growth of online learning on their campuses. 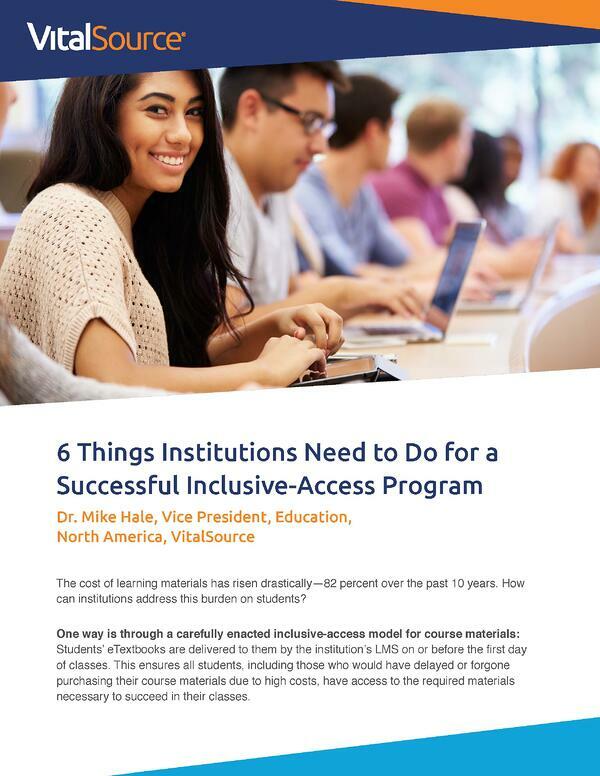 Dr. Mike Hale from VitalSource shares six key tips and best practices required for a successful Inclusive Access program. 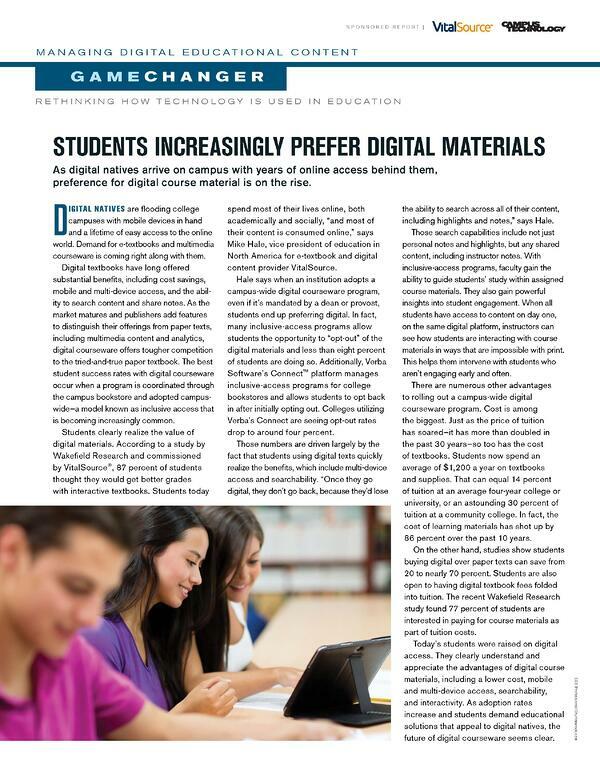 A report from Campus Technology explains new trends in digital learning materials and how delivering these materials is crucial to ensuring all students succeed. Independent research conducted by Shift Media on behalf of VitalSource on 5 steps to a successful digital programme. 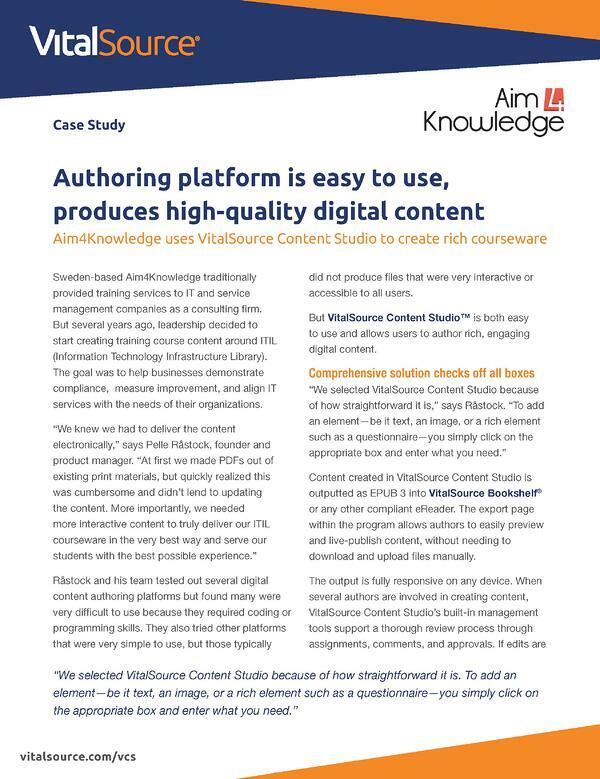 Training services company Aim4Knowledge knew they wanted to create rich content courseware so they turned to VitalSource Content Studio. 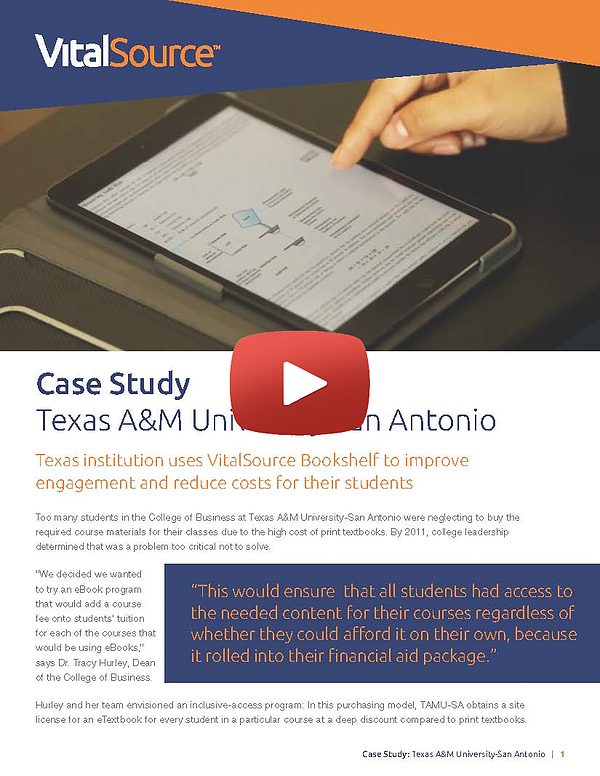 Watch how Texas A&M University-San Antonio (TAMU-SA) works with VitalSource to increase affordability and boost student success. 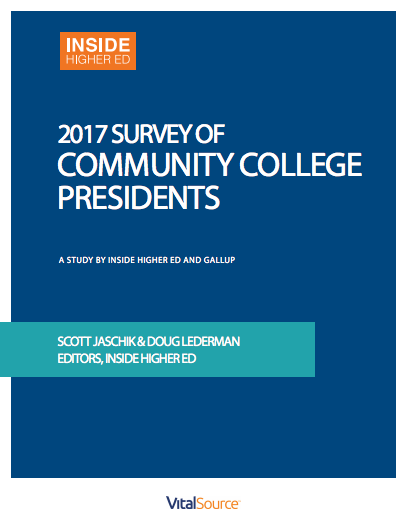 Inside Higher Ed surveys 236 community college presidents about challenges in recruitment, hiring, and more on their campuses. 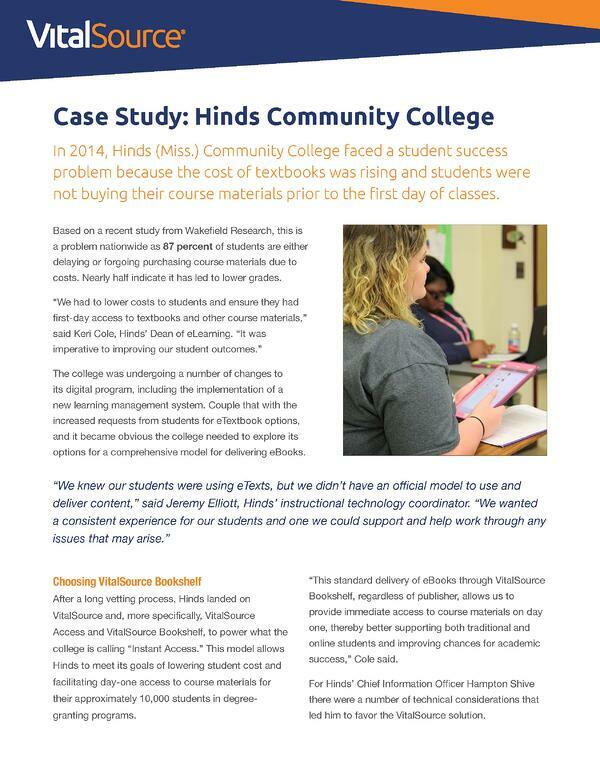 Hinds Community College in Mississippi implements affordable course material solution—with immediate success. Watch how Hinds Community College in Mississippi tackles the course materials affordability crisis through its Instant Access program. 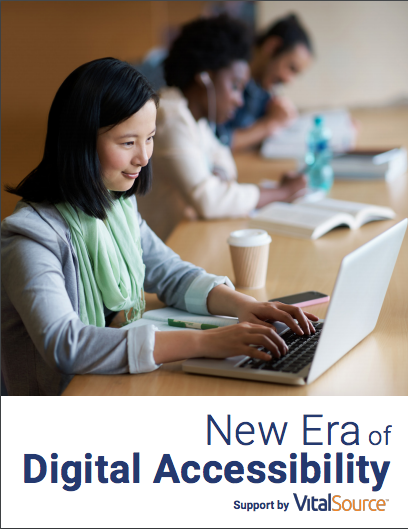 Inside Higher Ed's new compilation of articles focuses on efforts to make learning materials accessible to all students, including those with disabilities. 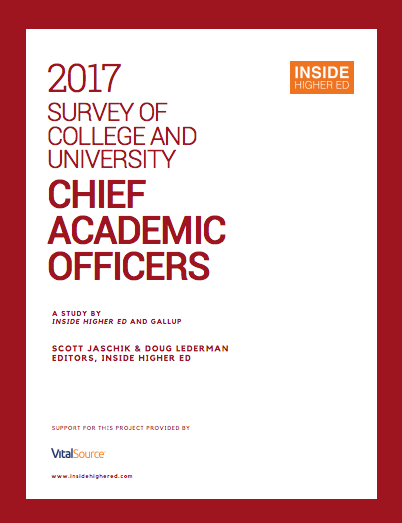 654 Chief Academic Officers responded to an Inside Higher Ed survey to comment on their institutions' financial and academic health. By including the cost of digital textbooks in the price of tuition, all students can access the materials they need to succeed. 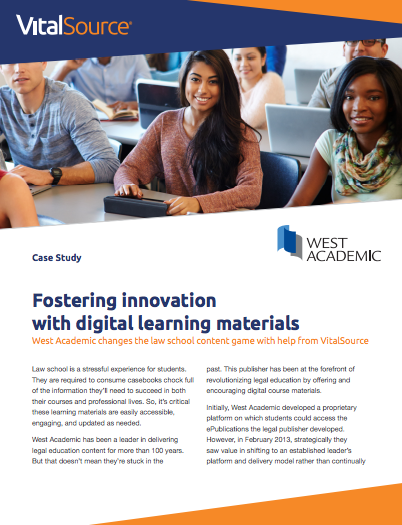 Premiere legal education publisher West Academic revolutionizes legal education by offering and encouraging digital course materials. A report published by The Times to understand the factors influencing the digital transformation in higher education. Institutions are implementing affordable digital course materials to level the playing field for all students.